This Association shall be called The American Surgical Association. Section 1. This Association shall consist of Active, Senior, and Honorary Fellows. Section 2. To be eligible for Fellowship, a candidate must be at least 30 years of age and a graduate of five years' standing from a recognized medical college, have established a reputation as a surgeon from contributions as a practitioner, author, teacher, and/or original investigator, and have been recommended by the Council. Certification by the American Board of Surgery or by one of the surgical American Specialty Boards is not a requirement for membership. Section 3. The Active Membership shall not exceed four hundred sixty (460) Fellows. Section 4. Active Fellows who reach the age of sixty (60) years will be placed on the list of Senior Fellows at the end of the calendar year following their sixtieth birthday. Any Active Fellow for reasons acceptable to the Council may, upon application to the Council, be placed on the list of Senior Fellows. Senior Fellows shall retain the right to vote and to hold office. Section 5. Honorary Fellows shall be distinguished foreign surgeons whose contributions to surgery have been unusually noteworthy, of lasting value and worthy of the highest international recognition. Section 6. Proposals for Active and Senior Fellowship shall be made by Fellows, on forms which shall be furnished by the Secretary of the Association. A candidate who is sixty (60) years of age, or more, may be proposed for Senior Fellowship, and the application shall be processed in the same manner as that of a candidate for Active Fellowship. Section 7. The application for Fellowship shall be signed by three (3) Fellows who shall vouch for the candidate's character and professional standing. The sponsors of a candidate shall send the Secretary confidential letters before they forward the proposal for Fellowship to Council. Section 8. All proposals for Active Fellowship shall lie over until the Annual Meeting following the one at which they are presented to the Fellows. During that year, the Advisory Membership Committee shall proceed according to Article IX, Section 3, and shall report to the Council as to the eligibility of each candidate. The Council shall present a list of recommended candidates at the next Annual Meeting Executive Session. Election to Fellowship shall be by ballot and if three fourths of the ballots are favorable, the candidate shall be declared elected. Section 9. If a candidate is not recommended by the Council, the sponsors shall be notified and such a candidate may be proposed again without imposed delay. If a candidate is recommended by the Council, but fails to be elected, the individual cannot be proposed again within two years. Section 10. Candidates for Honorary Fellowship may be proposed by any member of the Association or by the Committee on Honorary Fellowship. Following a review of the credentials by the Committee on Honorary Fellowship, such a candidate may be recommended to the Council and elected at the Mid Winter Meeting in order that notification of election be made with announcement of the Honorary Fellowship at the next Annual Meeting. Upon election by the Council, the candidate shall be notified in time so that Fellowship might be conferred at the next Annual Meeting. Honorary Fellowship shall be formally activated upon the newly elected Honorary Fellow’s initial attendance at the Annual Meeting. Honorary Fellows shall not be required to pay fees or dues, nor shall they be privileged to vote or hold office. Section 11. Fellowship shall be terminated in the event that an Active Fellow is absent from three (3) consecutive meetings without submitting adequate excuse to the Secretary, in writing. The member shall then be notified of the proposed termination of membership and shall thereafter be given an adequate opportunity to respond, and in the absence of a satisfactory response termination shall become final upon written notice from the Secretary and may only be reinstated by a two thirds vote of the Council, on presentation of reasons it considers to be valid. Section 1. The Association shall have a distinct seal as shown below, in the custody of the Secretary. Section 2. Every Fellow shall be given a certificate of Fellowship signed by the President and Secretary. Section 1. Upon admission every Active and Senior Fellow shall pay an initiation fee by which act the member acknowledges and accepts the By Laws of the Association. Section 2. There shall be annual dues. Section 3. The amounts of the initiation fee and annual dues shall be fixed by the Council and approved at the Executive Session of the Association. Section 4. Senior Fellows shall not be required to pay dues after the end of the calendar year when they attain the age sixty five (65). Section 5. When a Fellow is in arrears for one year, notification of the fact will be made by the Treasurer in writing. If dues are not paid within 6 months, the Treasurer shall notify the Council of the arrearage at its next meeting. The Council may terminate the Fellowship if it considers such action to be indicated, with reinstatement at its discretion if all arrearage and current obligations are paid. Section 1. The Officers of the Association shall consist of a President, a President-Elect, a Vice President, a Secretary, a Treasurer, and a Recorder. The Secretary, Treasurer and Recorder will hold office for six months beyond the election of their successors. Section 2. All Officers, and the elected members of the Council, shall be nominated by a Nominating Committee as specified in Article IX, Section 8. Section 3. The election of Officers shall take place at the Executive Session of the Annual Meeting. A majority of the votes cast shall constitute election. Section 4. Any vacancy occurring among the Officers of the Association between Annual Meetings shall be filled by the Council. Section 1. The President shall preside at the meeting of the Association, preserve order, regulate debates, sign certificates of Fellowship, appoint committees not otherwise provided for, announce results of elections, and perform all other duties legitimately appertaining to the office. The President shall have the prerogative of selecting the program for the Annual Banquet. Section 2. In the President's absence, the President-Elect shall preside. In the absence of the President-Elect, the Vice President shall preside. In the absence of both the President-Elect and the Vice President, the Chair shall be taken by whoever has been a member of the Council the longest. Section 3. The Recorder shall receive all papers, and reports of discussion of papers, presented to the Association and, as Chairman of the Publication Committee, shall take charge of their publication. The Recorder shall also serve as Editor of the Transactions of the Association. Section 4. The Secretary shall keep the Minutes of the Association and shall issue, at least six weeks prior to the Annual Meeting, a program containing the time and place of the meeting and the papers to be presented. The Secretary is the designated Archivist of the Association and is charged with transfer of appropriate material to the American College of Surgeons at least every 5 years. During the summer following each Annual Meeting the Secretary will prepare and distribute a booklet containing the list of names of candidates for Fellowship under consideration; approve all bills; attest all official acts requiring certification in connection with, or independent of, the President; notify Officers and Fellows of their elections; and keep in custody the seal of the Association and affix it to all papers not otherwise provided for. Another responsibility is that of Secretary for the meetings of the Council. The Secretary shall perform the function prescribed in Article III, Section 12, regarding termination of Fellowship because of non attendance. Section 5. It is the duty of the Treasurer to receive all moneys and funds belonging to the Association and shall pay all bills when properly ordered by the Association. Other responsibilities shall include collection of all dues and assessments as promptly as possible; and report to the Association, at each Annual Meeting, the names of all Fellows in arrears, who have, in accordance with Article V, Section 5, forfeited their Fellowship. The Treasurer shall prepare a budget for endorsement by the Council and approved by the Fellowship at each Annual Meeting. It shall include a contingency fund of sufficient size to permit the Secretary to meet authorized current expenses. The Treasurer shall present an annual account for audit. Section 1. The Board of Directors of the Corporation shall be known as its Council, and it shall consist of the President, President-Elect, Vice President, Secretary, Treasurer, Recorder and three (3) Fellows elected at large. The terms of service of the elected members shall be three years, and at each Annual Meeting one shall be elected to take the place of the retiring member. In order to lend continuity to the Council, it is customary to elect the retiring President to the Council. Section 2. The President of the Association shall be Chairman, and the Secretary of the Association shall be the Secretary of the Council. Section 3. The Council shall be the executive body of the Association and accurate minutes of its proceedings shall be kept by the Secretary. Section 4. Stated meetings of the Council shall be held at the call of the President. Ordinarily this will include one meeting held in the fall or winter in addition to the meeting held in conjunction with the Annual Meeting. Special meetings of the Council may be held on call of the President, or at the request of three (3) members of the Council, in the interval between the stated meetings of the Association. Section 5. All proposals for Fellowship shall be submitted to the Council for action in accordance with Article III and only the names of those candidates who have received its favorable recommendation shall be present to the Association for election as Fellows. Section 6. The Council shall act as a Board of Censors for the trial of members for alleged offenses against the By Laws or unprofessional conduct by any Fellow of the Association. Due process must be granted to Fellows accused of such offenses. Section 7. For the transaction of business, a majority of the members of the Council shall constitute a quorum, and a majority of those present shall prevail, subject to the provisions of Article III, Section 11. In addition, the Council may appoint ad hoc committees as the need arises, their continuance to be subject to subsequent approval by the Association. In addition, other ad hoc committees may be appointed as the need arises, subject to subsequent approval by the Council. Section 3. The Advisory Membership Committee shall consist of fifteen (15) Fellows who shall be appointed by the Council, three (3) each successive year, each of whom shall serve for five (5) years. The Secretary will serve as a member ex officio, without vote. The Chairman shall be designated by the Council. It shall be the duty of members of this Committee to review all candidates proposed for Active Fellowship in the Association, to seek out desirable candidates for proposal to the Association, and to consult with Fellows in their districts about proposed candidates. This Committee shall advise the Council concerning the eligibility of those candidates under consideration for Fellowship each year. To accomplish this purpose, the Committee shall solicit the names of candidates for membership from Fellows of the Association and shall maintain a list of such candidates for periodic review and revision. The Committee shall hold at least one meeting annually prior to the meeting of the Association in order to evaluate the candidates for Active Fellowship. The establishment of the Committee shall be in no way infringe upon Article III, Section 7, of the By Laws, which provides the proposal of candidates for Fellowship by three (3) Fellows of the Association. Section 4. The Honorary Fellowship Committee shall consist of six (6) Fellows who shall be appointed by the Council, two every other year, each of whom shall serve for six (6) years. The Chairman shall be appointed by the President. It shall be the duty of this Committee to investigate the eligibility of all candidates for Honorary Fellowship. It may, upon request of the Council, or upon its own volition, make suggestions to the Council concerning the name of an individual thought to be a desirable candidate for Honorary Fellowship. It shall meet at least once annually prior to the Mid Winter Annual Meeting of the Council and shall report its recommendations to the Council. Section 5. The Program Committee shall consist of five (5) Fellows, the President, President-Elect, Secretary and Recorder ex officio with vote. These five (5) Fellows shall be appointed by the Council, one each year, and each will serve for five (5) years. The appointed Fellow who is longest on the Committee shall act as Chairman. The Program Committee shall meet prior to the Mid Winter Council Meeting and at any other time designated by the Chairman. It shall formulate a report to be reviewed at the Mid Winter Council Meeting. The duties of this Committee shall consist of arranging for the scientific papers, symposia and discussions at the annual meetings. The Program Committee shall recommend which papers shall be accepted, and their order of presentation. The Committee may recommend that individuals who are not Fellows of the Association be invited to present a paper or discussion. The President of the Association is authorized to appoint Fellows to the Committee temporarily to substitute for any unable to attend. Section 6. The Publication Committee shall consist of the Recorder, Secretary and Treasurer, and the Recorder shall serve as Chairman. It shall have charge of the publication of the Transactions and shall see to it that proof copies of all papers and discussions are submitted, before their publication, to authors and to those taking part in discussion. Arrangements for recording discussions of papers shall be made by the Secretary, and such records shall be utilized in preparation of discussions for publication. Section 7. A Chairman of the Committee on Local Arrangements shall be appointed by the President from Fellows residing at or near the place of the next meeting. Additional members may be appointed. The duties of the Committee shall be to make general arrangements for the Annual Meeting of the Association. Section 8. A Nominating Committee shall consist of the five (5) most recent living Past Presidents, the most senior Past President serving on the Council shall be Chairman. The Committee shall nominate officers and elected members of the Council. The Nominating Committee shall consider individuals who might be worthy to receive the Medallion for Scientific Achievement and shall make recommendations to the Council at its Mid Winter Meeting. Section 9. There shall be an Issues Committee appointed by the Council on an ad hoc basis when deemed appropriate. The committee shall be composed of not fewer than twelve (12) Fellows arranged in three (3) classes to serve three (3) year terms. The President and Secretary shall serve ex officio. The duties of the Committee are to bring to the attention of the Officers, Council and Fellows selected public issues affecting the science and practice of surgery or affected by the science and practice of surgery. The President or Council may assign additional duties to the Committee in relation to such issues. Section 10. The Flance-Karl Award Committee shall consist of five (5) Fellows appointed by the Council, one each year, for a term of five (5) years. The appointed Fellow serving in their fifth year shall serve as Chairman. The responsibilities of this Committee shall be to recommend the recipient of the Flance-Karl Award for surgical research annually awarded by the American Surgical Association Foundation. Section 11. The Advancement of Surgical Care Medallion Award Committee shall consist of six (6) members: the President-Elect, President, immediate Past President, Secretary, and Recorder of the ASA, and the Chair of the ASA Foundation. The President-Elect of the ASA shall serve as Chair. This Committee shall consider individuals who might be worthy to receive the Medallion for Advancement of Surgical Care and report its selection of award recipient to the Council at its Mid-Winter Meeting. The recipient shall have made innovative and lasting contributions to the advancement of the care of the surgical patient. Former or current President(s) or President-elect and recipients of the Flance/Karl Award or the Scientific Medallion are not eligible for this recognition. Section 12. The Ethics and Professionalism Committee shall consist of the President, President-Elect, the two (2) most recent living Past Presidents—with the most senior of whom serving as Chair—and two (2) Fellows appointed by Council for terms of three (3) years. In addition, the Secretary will serve as an ex-officio voting member. The Committee shall convene as requested by the Council to research allegations of unethical or unprofessional behavior by Fellows and recommend to Council appropriate disciplinary action, which may include termination of Fellowship. Section 1. The Annual Meeting of the Association shall be held at such time and place as may be designated by vote of the Association. The selected time or place of meeting may be changed under extraordinary exigencies by vote of the Council. The meeting shall continue for three (3) days unless otherwise ordered by a majority vote. Section 2. For the transaction of business, one hundred (100) active and senior members shall constitute a quorum, and a majority vote of those present shall prevail, subject to the provisions of Article XII. For the discipline of a Fellow, one hundred (100) Fellows shall be required to form a quorum. Section 3. Any Fellow may invite physicians or other scientists to an Annual Meeting of the Association, and such a guest, at the Fellow's request to the President or Secretary, may receive the privilege of the floor. The co authors of papers read before the Association shall be automatically invited to attend the Annual Meeting. Section 4. All guests shall withdraw from the Executive Session. Section 5. All papers and reports read before the Association shall be delivered to the Recorder at the time of presentation, for publication in the official journal. To be published in the Transactions or the official journal, a paper must have been presented before the Association and approved by Council. The extra expense of publication of any paper exceeding fifteen pages in length, or containing color illustrations, or an unusual number of black and white illustrations, or any paper involving unusual expense, shall be subject to assessment upon the author. Introduction of Active and Senior Fellows elected at last Annual Meeting. Section 7. The proceedings of the Association shall be conducted under parliamentary rules of order. 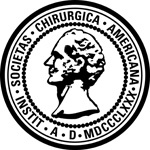 The American Surgical Association Medallion for Scientific Achievement shall be awarded by the President upon recommendations of the Nominating Committee to those individuals whose scientific contributions have been worthy of the highest recognition the Association can bestow. It is assumed that the Association will see fit to make only occasional awards of this distinction. The American Surgical Association Foundation is organized to support or benefit the American Surgical Association by carrying out its educational purposes all within the meaning of IRC Section 501(c)(3). Section 1. The Council of the American Surgical Association shall elect the Board of Trustees of the American Surgical Association Foundation in accordance with the By-Laws of the Foundation. The President, Secretary and Treasurer of the Association shall also serve on the Board of Trustees of the Foundation ex-officio, with vote. Section 2. A Trustee of the Foundation shall be elected annually by the Council to serve a five (5) year term. The President, Secretary and Treasurer of the Association shall serve ex-officio throughout their terms of office. A proposal to amend the By Laws (addition, alteration or repeal) shall be signed by three (3) or more Fellows, and presented to the Secretary, so that it may be brought before the Fellowship at the Executive Session of the next Annual Meeting, for first consideration. The proposed amendment shall then lie over for one year, for a second presentation during the Executive Session of the next Annual Meeting. Adoption of the proposed amendment shall require a supporting vote by at least three fourths of the Fellows present.